The vacuum drying technology is one of the most economical and most gentle drying methods. Due to the vacuum very low water evaporation temperatures can be reached. 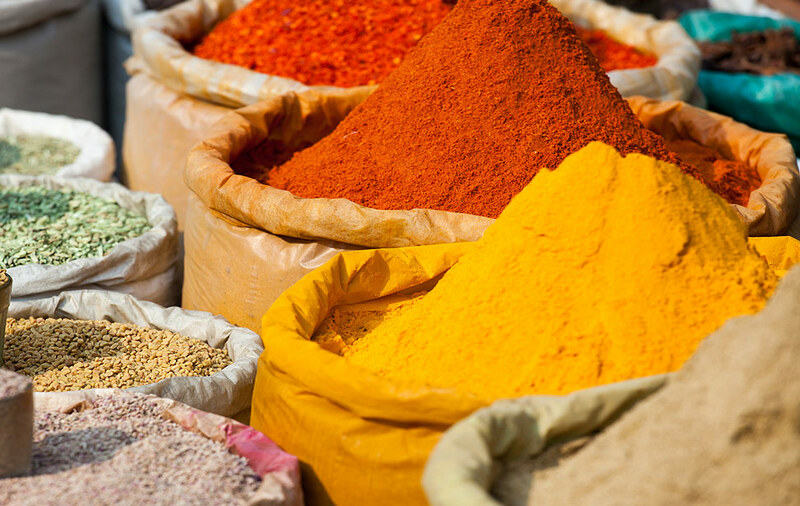 Aroma, product color and bulk density can specifically be influenced by the process. 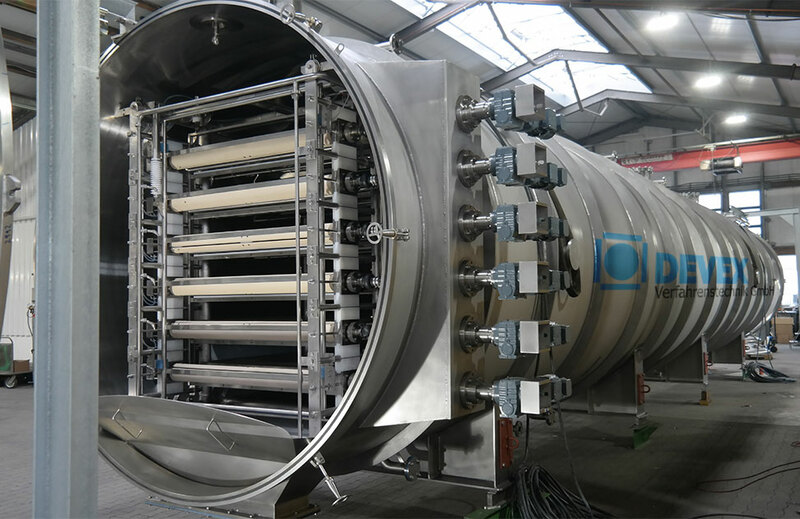 Vacuum Belt Dryers are used in the Pharmaceutical Industry, Food Industry and Chemical Industry. 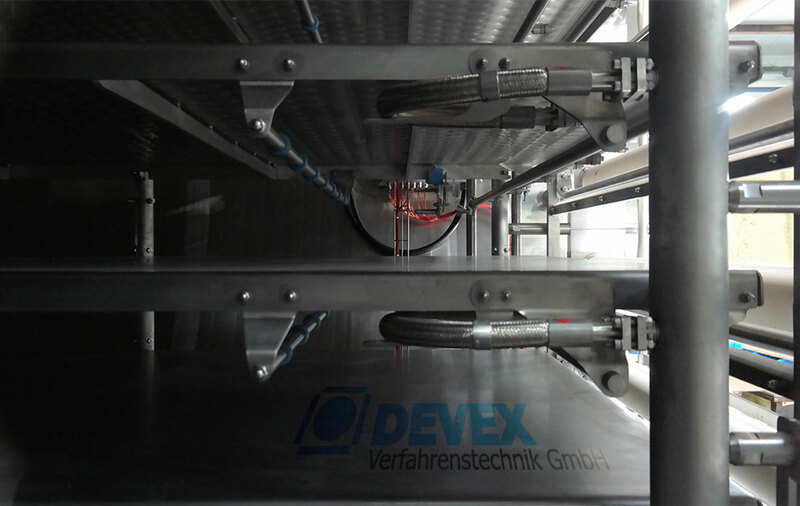 DEVEX Vacuum Belt Dryers are designed for the continuous operation with liquid or solid products. 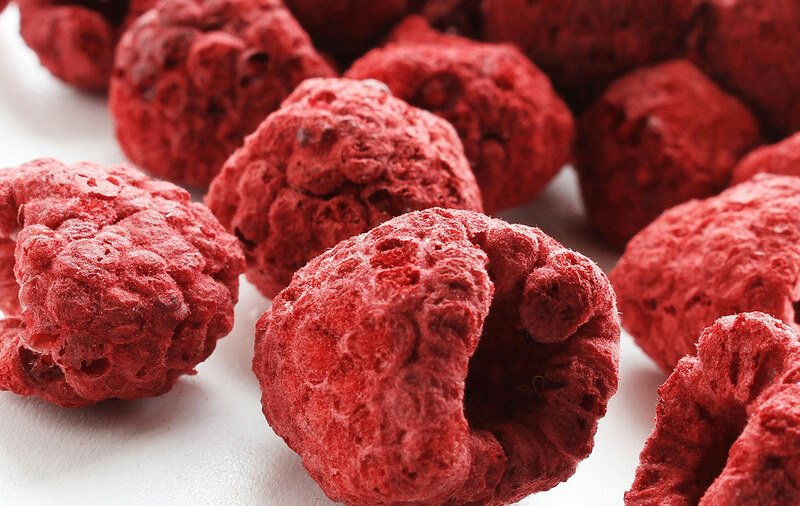 The dried granulate is also quasi-continuously discharged and can be removed under cleanroom conditions (GMP). 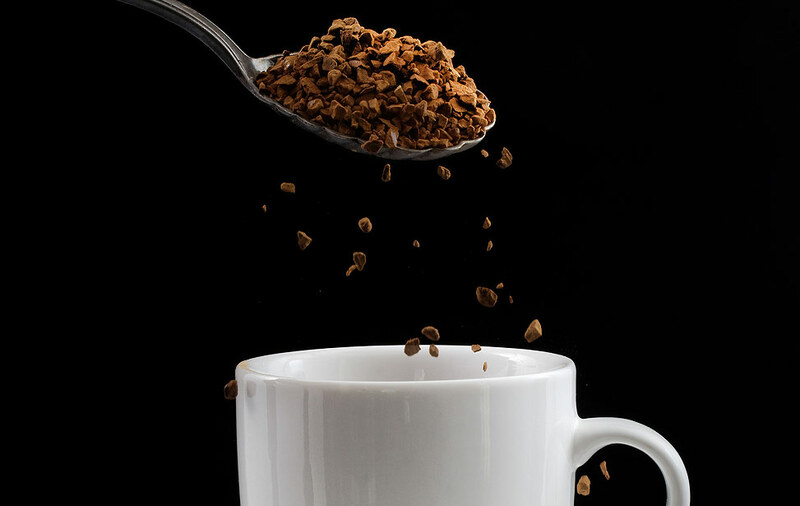 After the drying process, the product can be ground, filled and packaged. 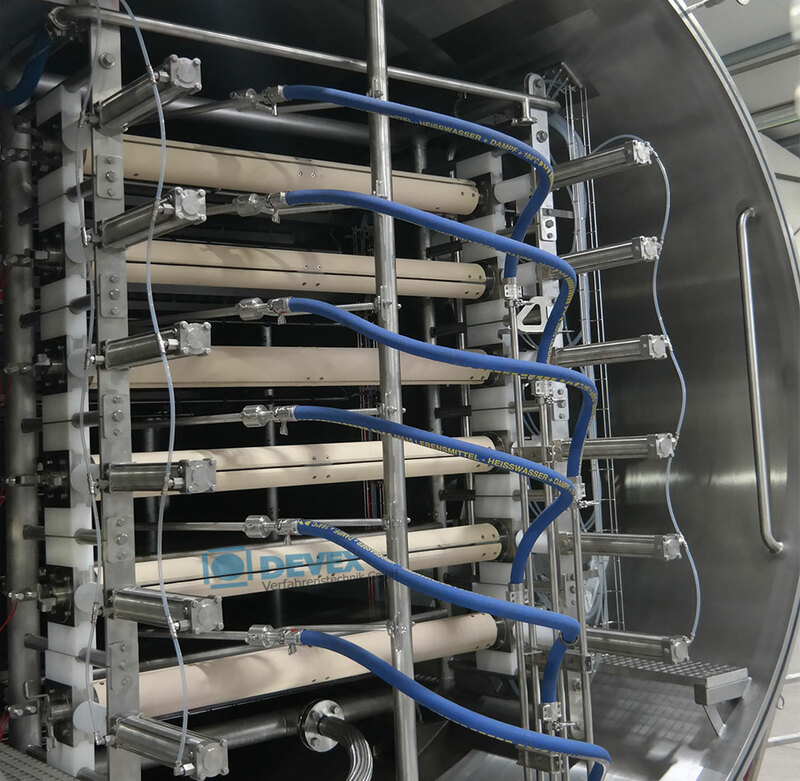 DEVEX Process & Product Development is pleased to assist you with the drying process and the dryer design. Supply of Dryers for the Pharmaceutical Industry, Chemical Industry and Food Industry. Design and customer-specific development of product feed systems, belt actuation systems, belt control systems and belts depending on customer and product requirements. Freeze Dryers are commonly used in the coffee industry, but they are also used for the drying of products from the food and pharmaceutical industry. For laboratory and small-scale productions Vacuum Drying Cabinets are used. The size ranges between 1 – 20 m² drying surface. Vacuum Drying Cabinets can be used for multiple applications, e.g. for the drying of extracts, powders and emulsions. Depending on the type of use, Vacuum Drying Cabinets are equipped with heating plates or heating jackets. 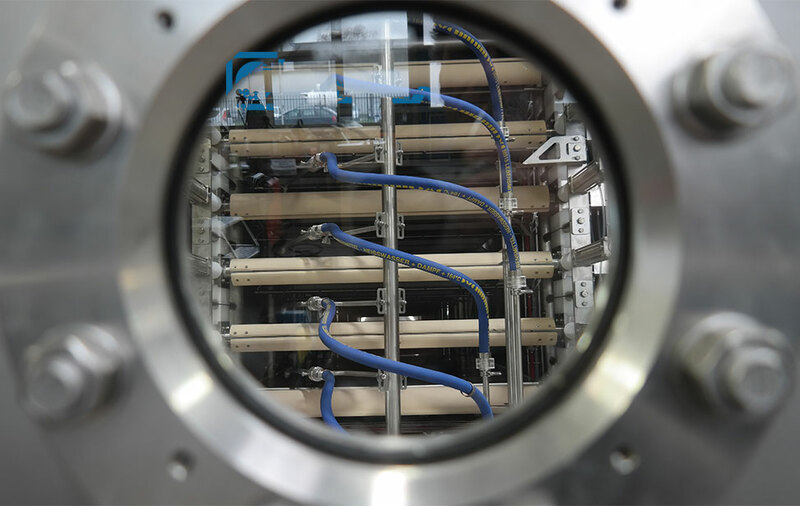 Vacuum Drying Cabinets are operated in batch mode. 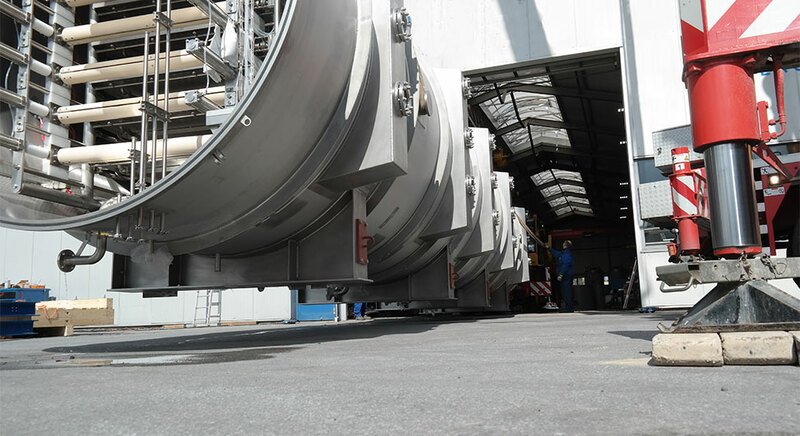 The purpose of the vacuum belt dryer is to gently dry liquid concentrates into granulates/powders. 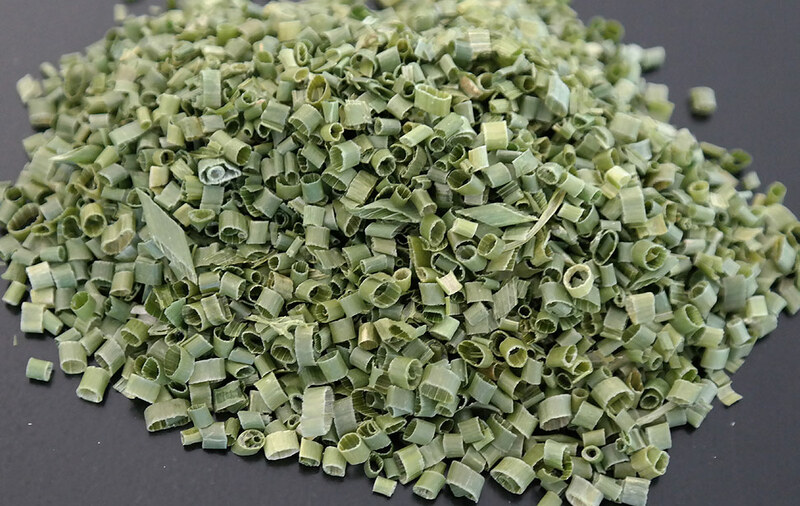 To achieve a gentle concentration process, the evaporation takes place under vacuum conditions to allow reduced boiling temperatures and thus less temperature impact on the product. It is operated via PLC system. The modular design of the heating plates allows use of product-specific temperature profiles for a tailor-made drying process. The current drying process can be monitored continuously via sight glasses. Optionally, automated monitoring systems are available. 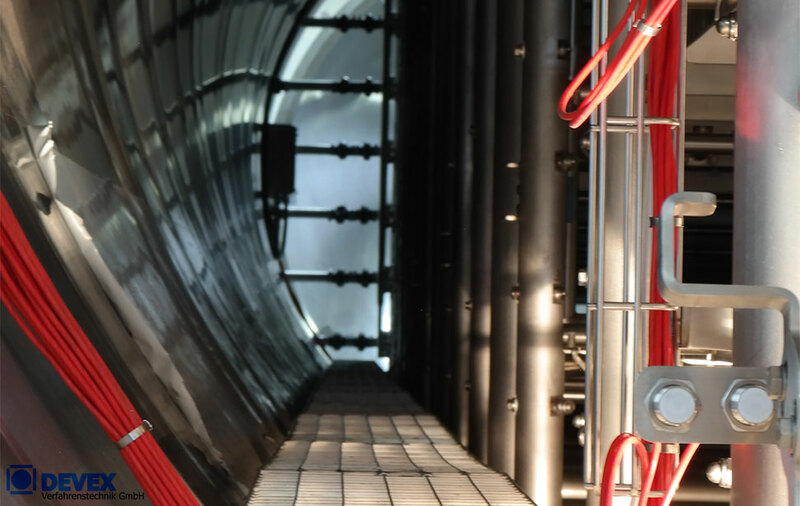 The walk-in design ensures ease of access for maintenance and servicing of the dryer equipment.